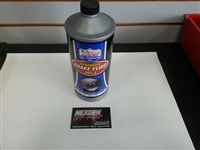 K&N Air Filter Oil is the only oil specially formulated to work in combination with the cotton fabric in K&N Filtercharger elements providing a superior air filtration system. When used as directed, it quickly penetrates the filter pleats, where it remains suspended in the cotton fabric. 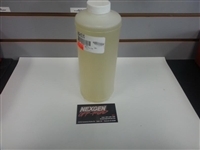 Saturation is maintained until the element is cleaned with K&N Air Filter Cleaner. SAME OIL THAT COMES FROM KING IN ALL THE PRERUN OR RACE SERIES SHOCKS. Lucas Oil Dot 3 Synthetic Brake Fluid is a high quality blend of polyethylene glycol ethers and additives which meet or exceed minimum dry boiling point of 401 degrees fahrenheit. Lucas DOT 3 is recommended for use in both disc and drum brake systems and clutch systems. Red Line CV-2 Grease: Red Line CV-2 Grease is designed to withstand the extreme temperatures and pressures which occur in high-performance wheel bearings and CV-joints. The excellent high-temperature stability, extreme- pressure protection, and water resistance enables it to out-perform even the best conventional or synthetic greases. Red Line CV-2 Grease can be used in a wide range of applications at temperatures ranging between -100°F to 500°F and provides good oxidation and corrosion resistance, low evaporation and oil separation, and has a minimum effect on rubber seals. Possesses a very high melting point, excellent water washout resistance and superior antiwear which makes it excellent for high temperatures and extreme loads. CV-2 contains an organic moly and is for wheel bearings, high angle and conventional CV joints, chassis lubrication and high temperature, high speed industrial equipment. The exceptional extreme- pressure performance and the fluidity of the synthetic oil allows increases in bearing life of 200% to 800%. Red Line CV-2 Grease will retain its consistency and extreme-pressure performance under high- temperature and high-shear conditions for extended periods, which extends the performance ranges of the lubricated components. Red Line CV-2 will darken after high-temperature use; this darkening will not detrimentally effect the performance of the grease. Although Red Line CV-2 is compatible with small amounts of many petroleum-based greases, it is always good lubrication practice to thoroughly clean out the old grease to eliminate abrasive particles and to minimize the possibility of grease incompatibility. SWEPCO 101 Moly Grease is a versatile grease designed for multi-purpose applications in low and high temperatures. Swepco's non-melt grease that will not melt at any temperature. 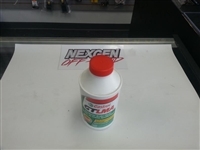 Red Line now offers its own high-performance brake fluid perfect for street or track use. RL-600 is engineered to maintain viscosity, lubricity and compressibility at extreme temperatures to help safeguard against brake fade and vapor lock in racing, performance and street applications.